Sometimes, football matches create this atmosphere of chaos. You go one goal down, and suddenly you're four down, and you don't know how. When Raheem Sterling put Manchester City ahead after just four minutes, very few people will have been surprised that Manchester City opened the scoring, even that early, but nobody expected what came next. 25 minutes gone, 4-0 down. Chelsea had done nothing particularly badly - bar Ross Barkley's header that put a goal on a silver platter for Sergio Aguero - and yet they were getting hammered. Nothing was working. City cut through them like a hot knife through butter, before spreading them all over the park. Jamie Carragher was unsurprisingly brutal with his analysis of Chelsea's first half performance. If thee's one thing Carragher hates, it's teams with a soft underbelly. In what is possibly the most cutting insult you can use against a Chelsea fan, Carragher compared the Blues to Arsenal. 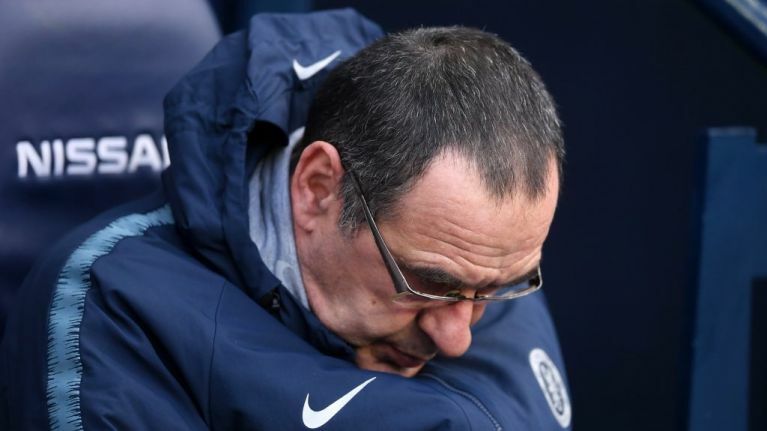 "Obviously he [Sarri] is just over halfway through his first season but... the worst thing I can say is it looks like he's turned Chelsea into Arsenal." At the time of writing, it is 5-0. It may not be 5-0 by the time you read this.